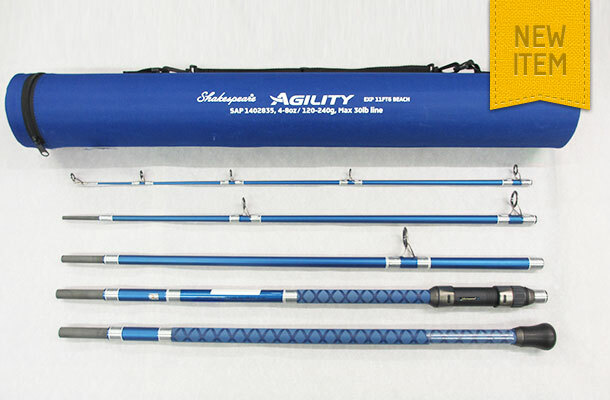 The Shakespeare “Agility” rod is a strong powerful 5 piece rod ideal for distance casting from the shore, rocks or jetties. The length is 3.53 metres (11ft 6 ins) and the ideal casting weight is 112grms – 224grms (4oz – 8oz). Each rod is supplied with a travel tube.